Bush I was Vice President under Ronald Reagan when William Thomas started the Peace Vigil in 1981 to oppose the reckless nuclear risks the Reagan/Bush regime took in the Cold War. 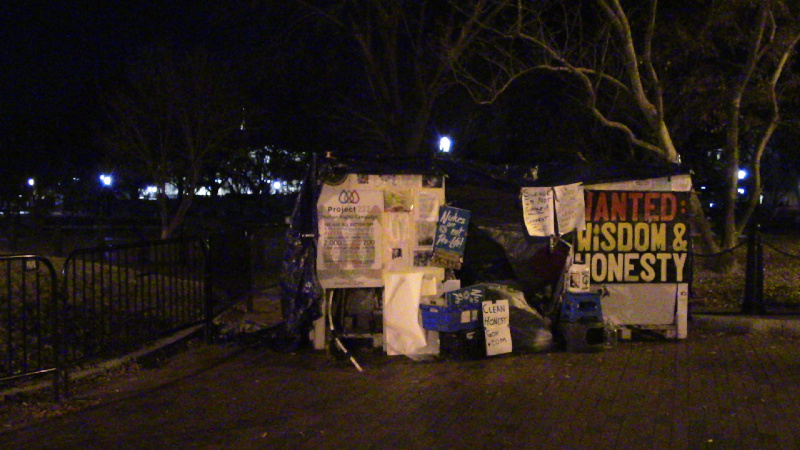 The Peace Vigil was there in 1991 when Bush invaded Iraq, and drummers in the park kept Bush up at night. Police assaulted and beat protesters when Bush was quoted in a newspaper as saying "those damned drums are keeping me up at night." 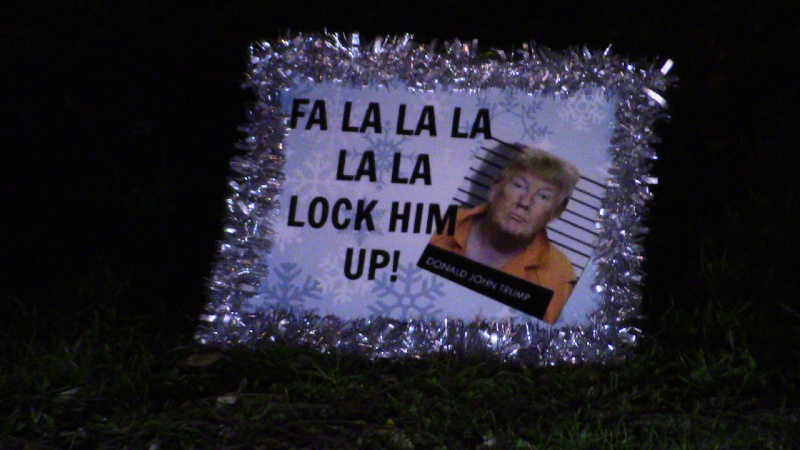 Bush is gone, but the Peace Vigil lives on. 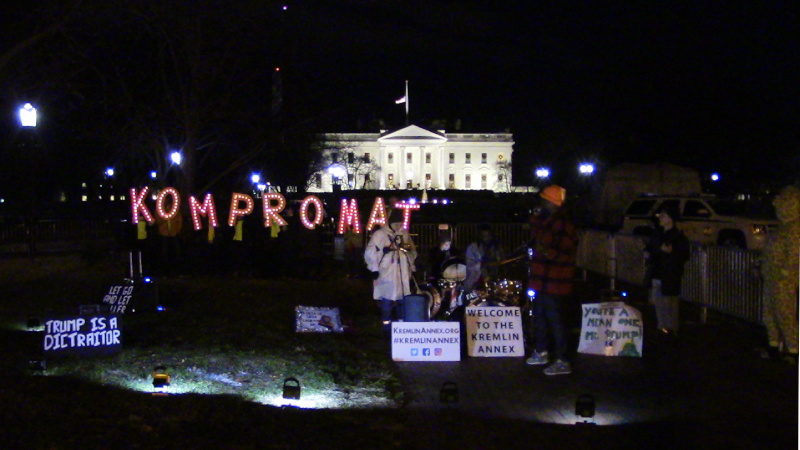 These days the Peace Vigil is joined by the nightly impeachment protests which charge that under Donald Trump the White House has become the "Kremlin Annex" due to Trump's ties to Russian strongman Vladimar Putin. 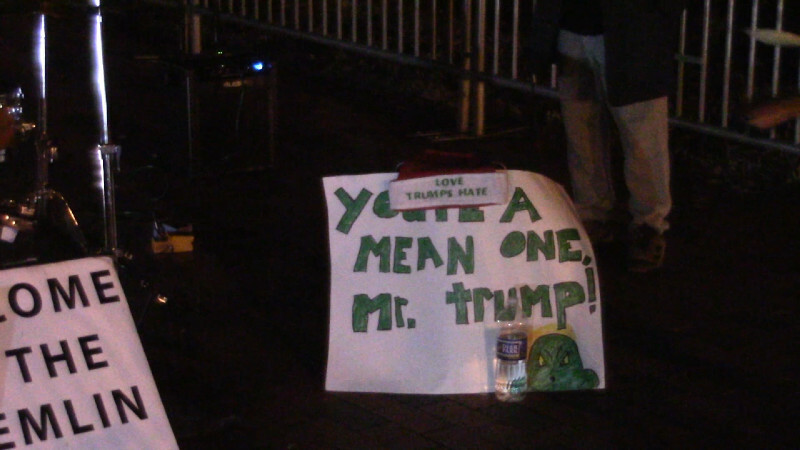 This protest (like the 1991 Iraq protests) uses drums, and adds brass and electric guitar plus a sound system. This protest shuts off at 9PM, possibly to avoid the sort of police brutality that assaulted the anti-Iraq War drummers back in 1991.